Our programs are designed to educate and assist veterans with the difficulties of reconnecting socially, while achieving inner peace and healing of the mind. Outdoor therapy has been shown to improve quality of life and allow veterans the opportunity to process and reflect on their experiences in a positive environment. "This is how you make a difference. I'm glad there's now a organization that will reach out to our brothers and sisters in arms." 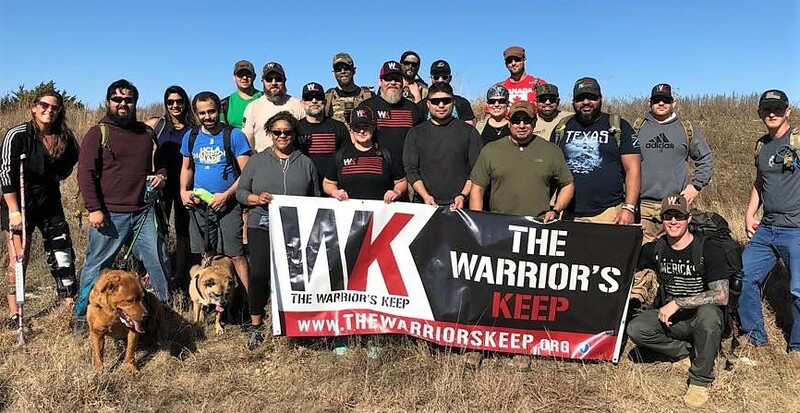 The Warrior’s Keep is a 501(C)(3) tax exempt non-profit organization whose mission is to unite, empower and enhance the quality of life for veterans with the use of Outdoor Therapy. We at The Warrior's Keep believe that sometimes the best medicine is nature's medicine. Our programs provide Veterans with free access to outdoor activities, designed to educate and assist with the difficulties of reintegrating back to civilian life. Outdoor Adventure Therapy for Heroes: O.A.T.H. is our motto and belief that engaging in outdoor adventures with other veterans allows for real therapy to naturally take place in a neutral, safe environment. "Awesome group...doing great things for the veteran outdoor community. Looking forward to more opportunities to get outdoors with them again." The Warrior's Keep is an organization founded and operated by military Veterans. All Veterans were trained to go to war but never trained to come back home. the goal of The warrior's Keep is to fill a part of every Veteran's life that was left behind when we left active duty. The sense of purpose and camaraderie we all felt when we served is the driving force behind The Warrior's Keep.